The NBA’s full schedule for the 2018-19 season was unveiled on Friday, and there’s no shortage of exciting matchups in store for Bradley Beal the Washington Wizards this coming season. 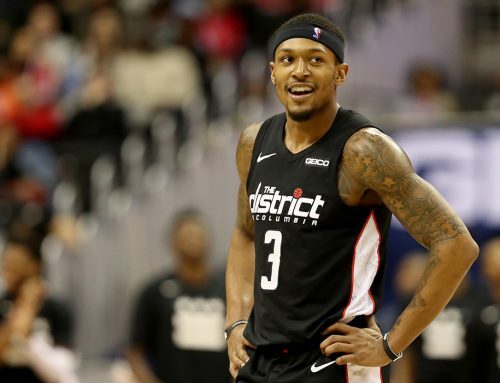 As they seek to make their fifth playoff appearance in the last six seasons, the Wizards added a number of new players to the roster this summer, in an effort to move up from the No. 8 seed in the Eastern Conference. 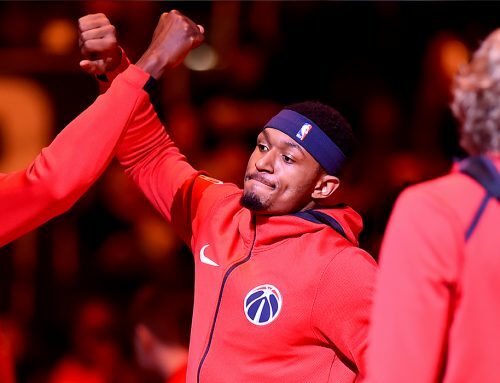 D.C.’s key trio of BB, John Wall and Otto Porter Jr. will be joined by veterans Dwight Howard, Austin Rivers and Jeff Green as well as first-round draft pick Troy Brown, a swingman selected with the 15th overall pick out of the University of Oregon. But the road to success won’t be easy for the Wizards. In fact, they’ll be challenged from the outset, with a nine-day, five-game road trip out west just a week into the season. All told, they’ll travel more than 45,000 miles over the course of the season. Washington’s slate also features 15 sets of back-to-backs. But they’ll get a reprieve in November, with a five-game homestand at Capital one Arena, and of their 41 homes games at The Vault, more than half (21) will be played on Friday, Saturday or Sunday. The Wizards open the season at home against the Miami Heat at Capital One Arena. These two teams split their season series last year, and three out of the four games played were decided by single digits. The Wizards will play their first nationally televised game of the season on NBA TV against the new-look Toronto Raptors. This will be a rematch of the first-round series last year in which the Raptors prevailed in six games. However, the Raptors have made some changes this offseason, shipping DeMar DeRozan to the San Antonio Spurs in exchange for Kawhi Leonard. 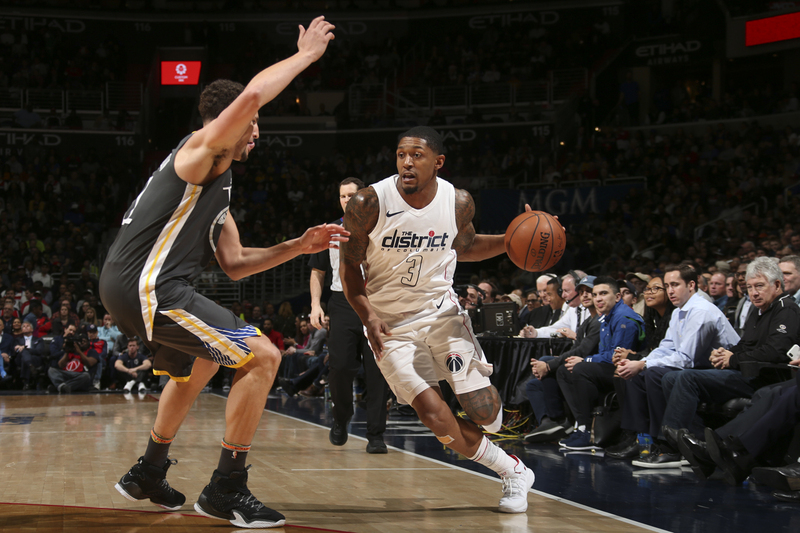 The Wizards open their season with four straight games against playoff teams from a year ago, and in the fourth game, they will travel to the Bay Area to take on the reigning champion Golden State Warriors. The back-to-back champs have retained their core players and will provide a tough early-season test with the likes of Stephen Curry, Kevin Durant, Klay Thompson and Draymond Green. 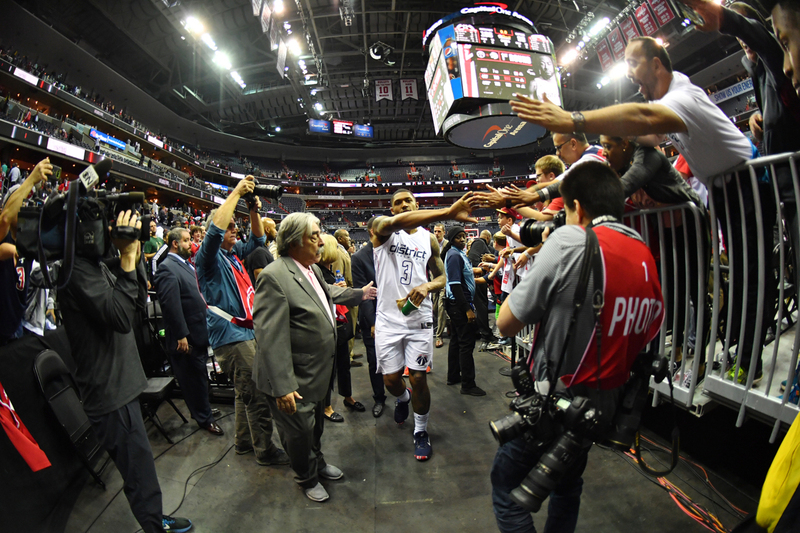 The Wizards will make their first appearance on ESPN in early November when they take on the Oklahoma City Thunder. Washington split a pair of games with Oklahoma City last season, and this matchup will provide another test. Paul George re-signed with the Thunder this offseason and Russell Westbrook is coming off of two straight seasons averaging a triple-double. The Wizards will battle the rival Celtics for the first time in mid-December. Boston figures to be one of the top teams in the Eastern Conference, and this matchup will provide Brad and the Wizards with their first face-to-face look at the Celtics, to see how they stack up in the conference. LeBron James will visit D.C. for the first time as a Laker on December 16. James is playing in the Western Conference for the first time in his career, so for the first time, the Wizards will only see him twice in the regular season this year. Just two days before Christmas, the Wizards will take a trip to Indianapolis to battle one of the Eastern Conference’s biggest surprises from last season, the Pacers. A major part of Indiana’s success came about because of the emergence of Victor Oladipo, who made his first All-Star appearance last season along with Beal at the two-guard position. The two All-Stars will likely be going head-to-head for most of the night in this matchup of two of the league’s top shooting guards. In early January, the Wizards will play a home-and-home with the Philadelphia 76ers. After years of trusting the process, Philly broke through and made the playoffs last season behind the quality play of Ben Simmons and Joel Embiid. Alongside the Celtics, the Sixers are one of the preseason favorites in the Eastern Conference, and this back-to-back will provide the Wizards with a chance to prove and test themselves against another talented team in the East in consecutive nights. 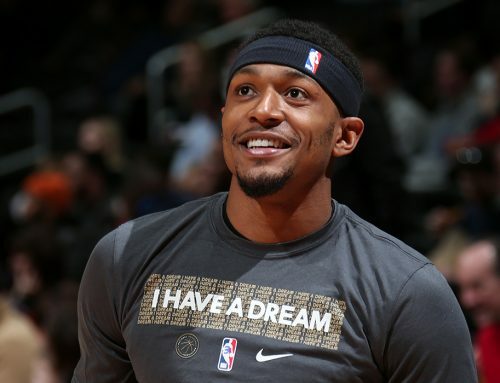 On Martin Luther King Jr. Day, the Wizards will host the playoff-hungry Detroit Pistons. Blake Griffin will be suiting up for his first full season in Detroit with the team, and the Pistons are regarded as one of the teams on the rise in the East this year after they hired former Raptors head coach Dwane Casey this offseason, following a season in which he led the Toronto to the top seed in the East. The reigning NBA champs visit the vault in mid-January giving BB and the Wizards their second crack at the best team in the league. This TNT showcase game will be another chance for Washington to test their mettle in front of a national audience against the league’s elite. In early February, Washington will travel to Milwaukee and take on Giannis Antetokounmpo and the Bucks on ESPN. As the All-Star break approaches, the Wizards will see one of the game’s best and have another chance to compete against a playoff-caliber opponent. 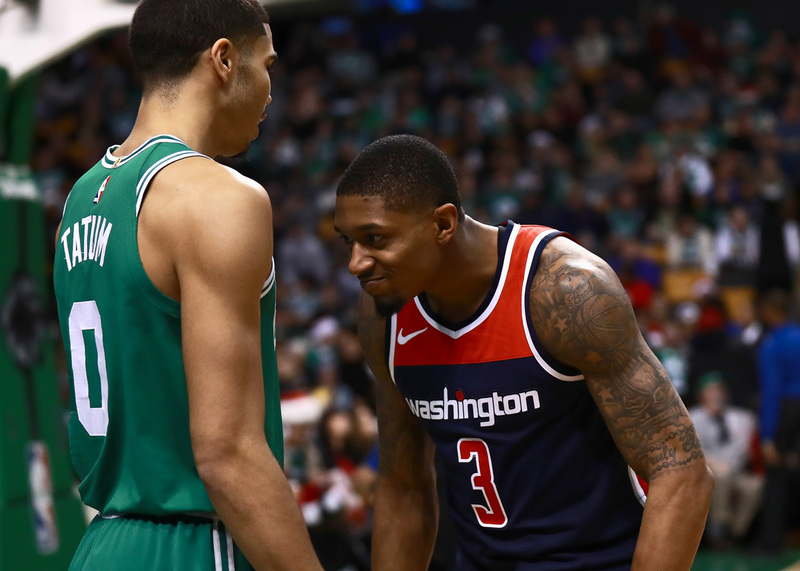 As the postseason draws closer, the Wizards will face-off once again against the Boston Celtics on ESPN, this time with playoff positioning potentially on the line. The Celtics have plenty of talent, with All-Stars Kyrie Irving, Al Horford and Gordon Hayward along with Jaylen Brown and Jayson Tatum. Washington will head to Staples Center to face LeBron James, Lonzo Ball and Brandon Ingram for the second and final time of the regular season on TNT. With just seven games to play after this one, this matchup could be pivotal in playoff seeding and building momentum towards a deep playoff run. The Wizards conclude their regular season with a nationally televised contest against the Boston Celtics. This will be the last of three matchups with the Celtics this season. Last year, this was a thrilling season series that saw the Wizards take three of four games and included two games that needed overtime. This season should provide another compelling challenge for Beal and the Wizards when they take on the Celtics. Visit NBA.com/Wizards to see the full 2018-19 schedule.